The policewoman at the Motor Vehicle Agency said she would make me look great. She must have read my mind. I was sick of having a drab face looking back at me whenever I took out my North Carolina Drivers License. Earlier that morning I had rummaged through a motley assortment of make-up supplies in my bathroom. After I applied blush, eye shadow, mascara and a bright pink lipstick, I left the house with a blue blouse and my best earrings. I was 70 years old, and I didn’t want to look it. The motor vehicle agency near my home wasn’t busy. After I took the driver’s exam and vision test, the policewoman, short, thin and intense, lead me to a cubby in the corner of the room with a blue curtain covering the wall behind a chair. “Okay,” she said. “Sit up straight, shoulders back, big smile. I’m going to make you look great.” Had I wandered into a professional’s photography studio by mistake? She fussed at me like she had every intention of keeping her word. I sat long minutes on a metal folding chair before the policewoman handed me my new driver’s license. In the picture my eyes were open and I had a sweet expression on my face. I did look great. Like my husband, Ernie, always said, timing is life is everything. I wanted a good picture and here was a woman on duty that day just waiting for me to walk through the door. “You did a wonderful job,” I told her. That did it. I would get older and my pictures would all be downhill from there. I decided to be proactive. Off I drove to the mall and marched into Macy’s cosmetic section where I balanced on a high stool while a pretty blond young lady slathered various liquids, pastes and powders on my cheeks, eyes and lips. Her enthusiasm and positive comments about my “good” skin soften me to buy a number of products that fit into a 3 by 5-inch cosmetic bag at a cost well over a $100. Not to worry, my husband would be appeased when he saw how beautiful I looked. When I came home, Ernie was busy in the kitchen. He turned and looked at me. Nothing. Later we sat out on the screen-porch enjoying a glass of wine before dinner. His glance took me in. I was certain that my bright eyes, now lined with #10 dark chocolate eye liner and black lash doubling mascara would knock him off his wicker chair. Nothing. I put on the overhead light. “It’s a bit dim in here,” I said bending toward him, my face close to his. Nothing. 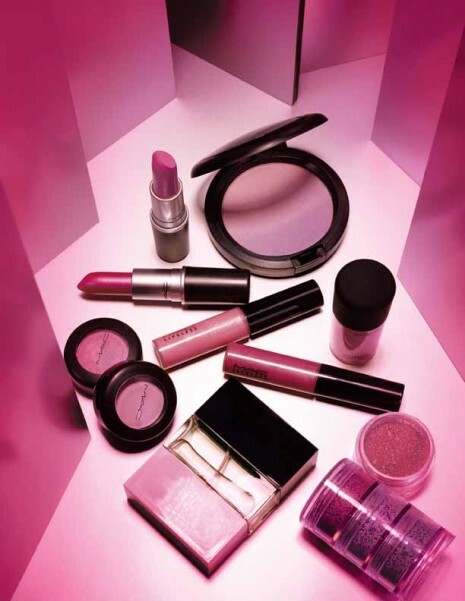 Finally, after we discussed various topics of mutual interest without so much as a raised eyebrow from the man, I said, “Don’t you notice anything new about me?” I smiled with #303 crystal pink lips outlined with #105 plush pink. Ernie’s face paled. He knew the ultimate test of a husband’s true love for his wife was his ability to detect what was different about her. Ernie stopped short of breaking into a sweat as he scanned me: feet to the top of my head. “No, I’ve had these for years.” I could almost see his brain shift to high gear. I smiled at his response. Then I told him how much I paid for the cosmetics. Very fun post! We can all relate. I’ve worked in a school for 10 years and every year we have to have our photo taken. I admit to using the photos as a chronology of my aging process, with the first one being the benchmark. Some years I look older than others, so you are right, it’s all a matter of timing. On a good day, we can all look great, even without the expensive makeover! Stay young at heart! Isn’t that the way it goes. “But, you always look beautiful” is the perfect answer. 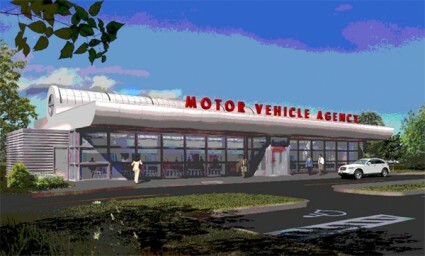 Nice story dovetailing the DMV photographer with the complete store makeover. I received a compliment last night from strangers when were leaving our table in a restaurant: “You have beautiful hair”. That reaction happens often from strangers. Most of the time I say, “Yes, it’s all mine”, thinking they’re wondering if its a wig. Last night I said I was holding on to this remnant of my younger days……but, I said to look at my husbands hair (he does have remnants of a good head of hair and a beard as well) I asked them to please tell him as well. They were good sports and fun people so it was a comfortable fleeting interchange. It is interesting how “looks” are important. I remember seeing a documentary about infants responding positively to pretty faces versus a not so glamorous visage. Strange animals are we. Love it! I caught myself smiling while reading. Writers are definitely in a “helping” profession.For many years you helped so many in your nursing career-now you’re helping others with your stories. Thank you! Thanks, Joan, I am trying. I am laughing out loud! Beautifully, typical, loving response from husband of many years. I have one of those too! Thanks for sharing this story. Glad you enjoyed it and glad you have one of “those” husbands, too. Too funny! I just had my photo taken for a state ID. With my dreadful driver’s license photo in hand, I was determined to look my best for this new picture.. But, no luck. So I’m stuck until 2018 and don’t think cosmetics will help. Gottal love your hubby’s response!